Bunnies and rabbits, oh my! 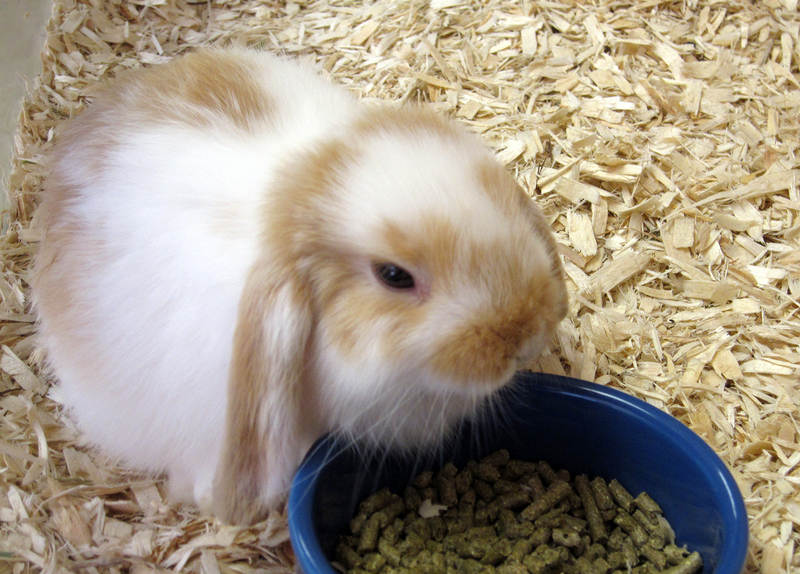 Meet “Rabbits and Their Relatives” at the San Bernardino County Museum on Saturday, Nov. 1 from 11 a.m. to 4 p.m. This Family Fun Day includes gallery cart conversations, crafts, games, and story book reading, along with the opportunity to meet the new resident rabbit in the Exploration Station. All activities are included with paid admission. The Museum is located at 2024 Orange Tree Lane in Redlands. More information can be found at www.sbcountymuseum.org. 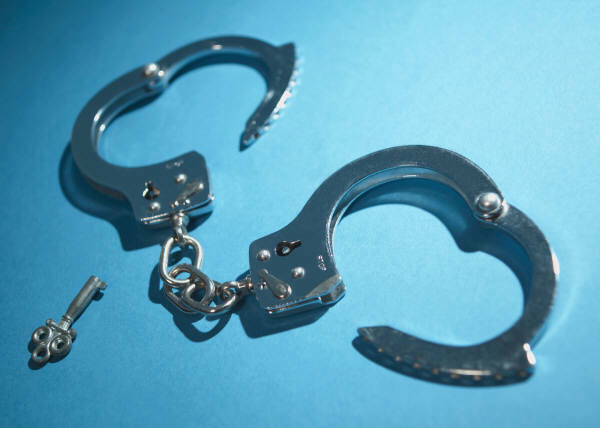 The Public Defender’s Office in conjunction with Abundant Living Family Church is holding a criminal record and traffic citation clearing clinic on Nov. 15. 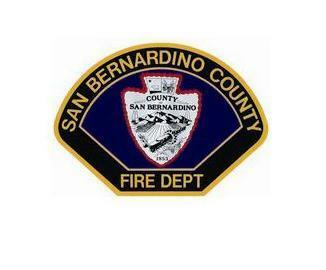 The event will be held from 9 a.m. to 2 p.m. at Abundant Living Family Church, 17555 Mauna Loa Street in Hesperia. For more information about the event, contact Christina Schondel at the Victorville Public Defender’s Office at 760-243-8954. San Bernardino County officials and law enforcement partners broke ground today for the new Sheriff’s Crime Lab building at 200 South Lena Road in San Bernardino. In June 2007, the Board of Supervisors allocated $25 million for the construction of a new crime lab. Several studies were done, along with a needs assessment. Between 2009 and 2012 the department evaluated several options, from remodeling the existing building to building a new one. In 2013, the department selected LPA Inc. to design the new 20,000 square foot laboratory annex. The new building will cost $17 million and will be located west of the current 35,000 square foot crime lab building. 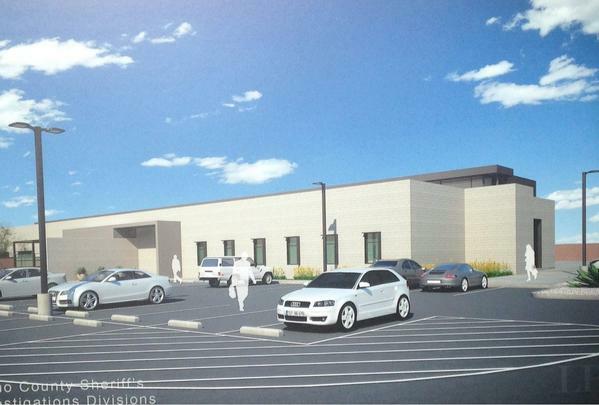 In September 2014, AMG & Associates Inc. was awarded the contract for the new construction. Controlled Substance Unit: One supervisor and up to 10 criminalists; three more than current staff. Crime Scene Investigation: One supervisor and up to six crime scene investigators and clerical employees; five more than the current staff. Firearms/Toolmarks Unit: One supervisor, up to five criminalists and two techs; two more than prior. Forensic Alcohol Unit: One supervisor and three criminalists; adding one additional criminalist. The new building will house a narcotics lab, indoor vehicle processing area, indoor shooting tank, indoor 40-yard shooting range and a combined breath and blood alcohol testing lab. Ready to plan for a financially secure future? Are you struggling to make ends meet? 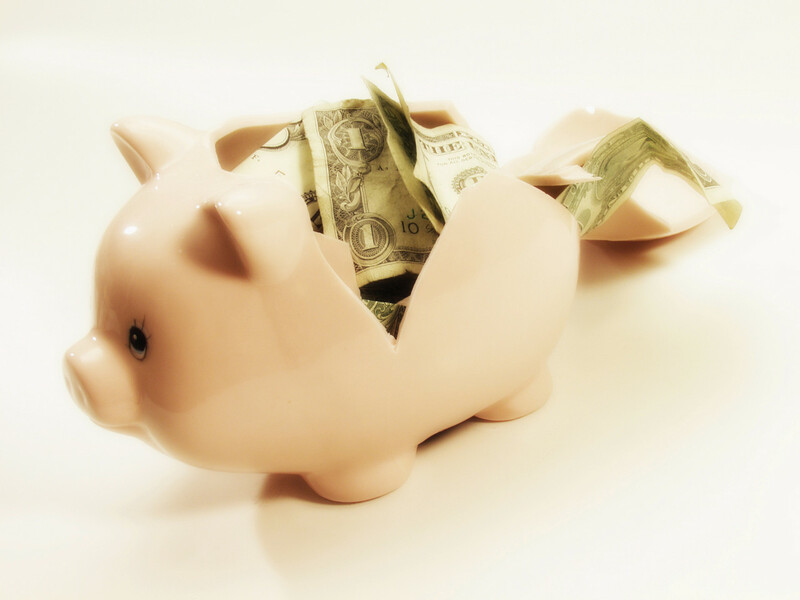 Would you like to learn how to create a budget or use credit more wisely? HomeStrong USA will present a free seminar on “Turning Cents into Dollars” on Saturday November 8 from 10:30 am to noon at their offices in Rancho Cucamonga. Reservations are recommended. Call 877-647-8764. Early voting centers are now open at the Hesperia Branch Library and the Montclair Branch Library for the November 4, 2014 Statewide General Election. An early voting center at the Elections Office of the Registrar of Voters has been open since October 6. With only a few voting days left before Election Day, the Elections Office encourages voters to stop by one of these three locations during their normal business hours if they would like to vote. Voted mail ballots can also be dropped off at the three early voting locations. The locations will also have mail ballot drive-thru drop-offs so voters can deliver their ballots without having to get out of their cars. Elections Office staff will be stationed in the parking lots to accept voted mail ballots and distribute “I Voted” stickers. “Our goal at the San Bernardino County Elections Office is to make voting more convenient, and we’re hoping that voters take advantage of these early voting sites as well as our 56 mail ballot drop-off locations throughout the County,” said San Bernardino County Registrar of Voters, Michael J. Scarpello. In addition to the 56 county libraries and city clerk’s offices, voters can also drop off their voted mail ballots at any one of the County’s 413 polling places on Election Day. All mail ballot drop-off locations and polling places can be found on the Elections Office website at www.sbcountyelections.com. Normal business hours for the Montclair Branch Library, 9955 Fremont Avenue, Montclair, CA 91763, are Monday through Wednesday from 11 a.m. to 7 p.m., Thursday and Friday from 10 a.m. to 6 p.m., and Saturday from 9 a.m. to 5 p.m.
Normal business hours for the Hesperia Branch Library, 9650 7th Avenue, Hesperia, CA 92345, are Monday through Thursday from 10 a.m. to 8 p.m., Friday from 10 a.m. to 6 p.m., and Saturday from 9 a.m. to 5 p.m.
Normal business hours for the San Bernardino County Elections Office, 777 East Rialto Avenue, San Bernardino, CA 92415, are Monday through Friday from 8 a.m. to 5 p.m., Saturday, November 1, from 8 a.m. to 5 p.m., and on Election Day, Tuesday, November 4, from 7 a.m. to 8 p.m.
For more information about this election, visit the Elections Office website, www.sbcountyelections.com, or call (909) 387-8300. Explore your creativity at the San Bernardino County Museum this fall at three artMUSE activity sessions. Visitors will express themselves throughout creative writing, photography, and other artistic activities. Local artists and art students will share artistic techniques and help participants draw inspiration from the museum. Activities are included with paid museum admission and are offered in a ‘drop in’ format from 2:30 to 4:30 p.m. on Sunday October 26, Saturday November 8, and Saturday December 6. Activities are geared to adults and youth ages 13 and up. Art materials will be provided, but visitors should bring a camera or smartphone for the photography sessions. All artMUSE programs, activities, and events are sponsored by the James Irvine Foundation. For more information about the artMUSE fall program series and the San Bernardino County Museum, call 909-798-8610 or e-mail the artMUSE program at sbcmartmuse@gmail.com or jredvale@sbcm.sbcounty.gov. 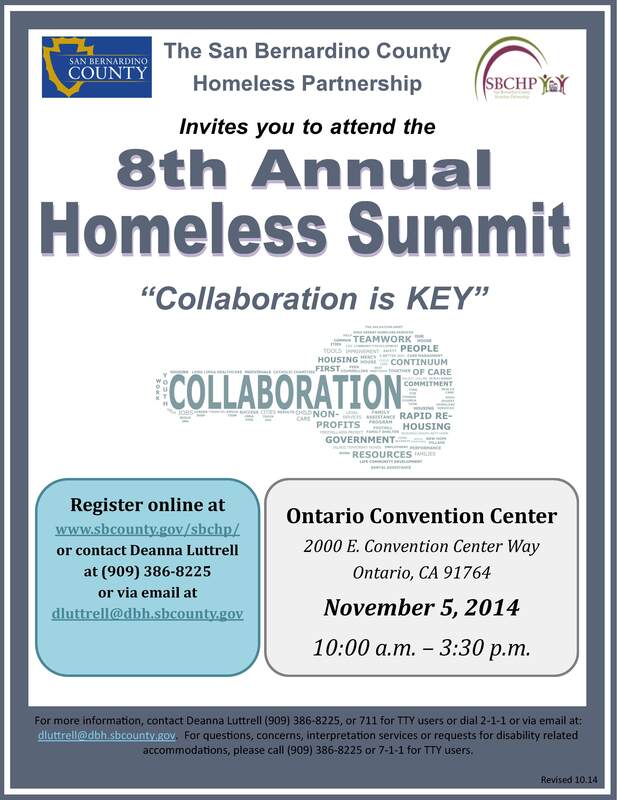 The San Bernardino County Homeless Partnership in collaboration with the Office of Homeless Services will host their 8th Annual Homeless Summit at the Ontario Convention Center from 10 a.m. to 3:30 p.m. on Nov. 5. The San Bernardino County Homeless Partnership in collaboration with the Office of Homeless Services will inform attendees of the efforts that have been made over the past year, and future program planning for the next 12 months to address the issue of homelessness in the county. Guest speakers will include: Tom Hernandez, Homeless Services Manager, Office of Homeless Services; Sharon Green, Executive Director, Victor Valley Family Resource Center; Dan Nackerman, Executive Director, Housing Authority of the County of San Bernardino; Gary Madden, Director, United Way 211; Brianna Karp, Executive Assistant and Author, Orange County Health Authority; Josie Gonzales, Fifth District County Supervisor, San Bernardino. For additional information, please contact Deanna Luttrell at (909) 386-8225. Firefighters responded to a report of a small plane down near the Grout Bay picnic area in Fawnskin about 10:45 a.m. today. San Bernardino County firefighters from Station 96 in Fawnskin arrived on scene minutes later, where they located a small, single-engine aircraft that had crashed in the dry lake bed (known as Grout Bay) near the picnic area. Firefighters were able to reach the pilot quickly, however the adult male pilot and sole occupant had already succumbed to his injuries. The pilot had taken off from the Big Bear Airport. It is unknown where the pilot was headed. The Halloween season makes you think about spooks and goblins and, at the San Bernardino County Museum, Ghost Dinosaurs! Families are invited to Ghost Dinosaur Day on Saturday, Oct. 25, for all sorts of fossil treats—and maybe a trick or two. All activities are included with paid museum admission. Curator of Paleontology Eric Scott will give two spooky dinosaur talks about “Ghost Dinosaurs”, one for kids at 10:30 a.m. and the other, “Ghost Dinosaurs: Haunted by Lost Monsters,” for all ages at 2 p.m. The education division will offer eerie cart conversations in the Hall of Geological Wonders, where the special exhibit “Fossils Underfoot” is now showing. Don’t be scared: learn the difference between dinosaur “ghosts” and the real thing. Get ready for Halloween by making dinosaur masks to take home. Are you already all set for Halloween? Then wear your costume, join in a costume parade, and win a prize! Activities are scheduled from 10 a.m. to 4 p.m. with costume parades at 1, 2, and 3 p.m. The San Bernardino County Museum is at 2024 Orange Tree Lane, at the California Street exit from Interstate 10 in Redlands. The museum is open Tuesdays through Sundays from 9 a.m. to 5 p.m. General admission is $10 (adult), $8 (military or senior), $7 (student), and $5 (child aged 5 to 12). Children under five and Museum Association members are admitted free. Parking is free. Visit www.sbcounty.gov/museum for more information. The museum is accessible to persons with disabilities. Monday, Oct. 20 is the deadline for San Bernardino County residents to register to vote in the 2014 Statewide General Election. The Elections Office at 777 E. Rialto Avenue in San Bernardino will be open until midnight on Oct. 20 to accommodate people who want to register in person. Citizens can go to www.sbcountyelections.com to register online or they can use a new application on the website to verify their registration status. The new application, called My Elections (M.E.) Gateway, provides voters with personalized election information. In the M.E. 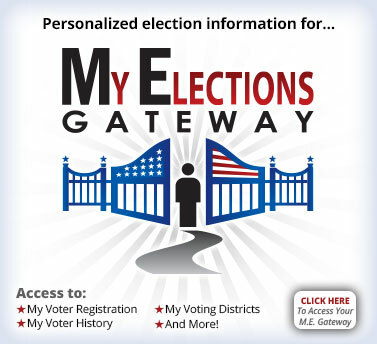 Gateway, registered voters can access election information such as their registration status, polling place location, voting districts and other personalized election information. Residents can also register to vote on paper registration forms that can be found at locations throughout San Bernardino County such as post offices, city clerks’ offices, and the Department of Motor Vehicles. A full list of locations is available at the Elections Office website. For more information about My Elections Gateway, visit the Elections Office website at www.sbcountyelections.com or call (909) 387-8300.